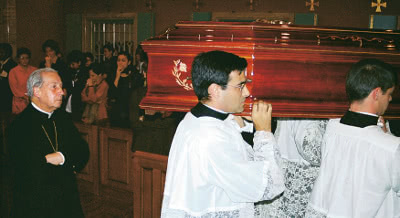 Eight years after her death, Bishop Javier Echevarría presided at the opening of the canonical process on the life and virtues of Dora del Hoyo, the first numerary assistant in Opus Dei. Dora del Hoyo was born on January 11, 1914, in Boca de Huergano (Leon, Spain). In 1939 she moved to Madrid. After working in domestic tasks for several families in Madrid, she began working in La Moncloa, a residence hall for university students run by people of Opus Dei. There she met St. Josemaria and learned how to sanctify her work in accord with the spirit of Opus Dei. In Bilbao, on March 14, 1946, she asked to join Opus Dei, to help with its apostolates by continuing with the same work she had been doing up until then. On December 27, 1946, at St Josemaria’s invitation, she moved to Rome, where she lived for the rest of her life. By her example and friendship she helped to give professional and spiritual formation to people from all over the world, and contributed to the expansion of Opus Dei’s apostolates. She spent her life doing domestic work in Opus Dei centers, and she did it with love for God, a lot of affection for other people, and great professional competence, which she worked to improve throughout her life. Since her death, more than three hundred people (the majority, women who carried out the same professional work) have expressed in written testimonies their gratitude for the Christian example of Dora’s life. There are also already many written favors attributed to her intercession. The opening of any cause of canonization is a response to the spontaneous devotion arising from the living faith of the people of God, the authenticity of which is tested by the Church’s investigative process. 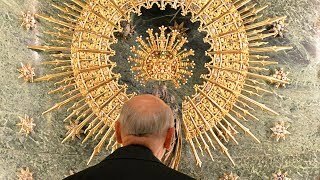 With the requirements foreseen by canon law having been fulfilled, the Prelate of Opus Dei, Bishop Javier Echevarría, decided to begin the investigative process on her life and virtues, setting up a Tribunal. The primary significance of every cause of canonization is to further the good of the Church and the faithful. 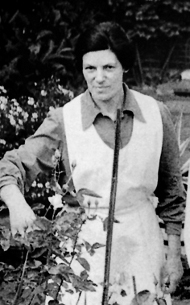 This cause will contribute to better understanding the life of self-giving to God that Dora del Hoyo lived in her daily joyful service in domestic work.